It was my youngest daughters birthday over the past weekend and as you may know she is a keen photographer at the ripe old age of 7. She loves taking photos and I was not so keen on her using my camera (Although since I got my new one, I have been happy for her to use the "old" one - lol!) Well she was lucky enough to get one from her grandparents and she was thrilled. She has been taking photos left, right and centre - all great but only one problem! There was no case for the camera - well I knew how to solve this by making one. 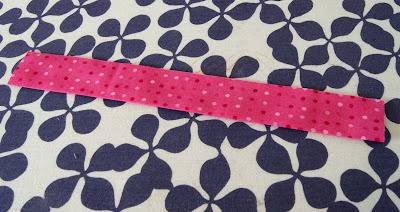 I have put together this Tutorial for several reasons - yes I know there are many, many tutorials on this type of item but I wanted to go through and practice my camera skills, photo editing and wanted to improve on the quality of the other two tutorials I have put on my blog so far. 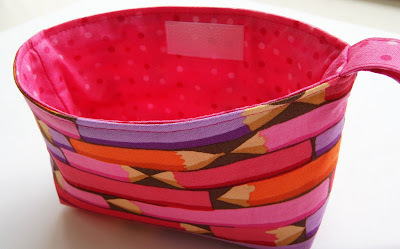 I had made this type of pouch before with students in my High School Textiles class so I knew this would be a great little project to adapt to the size to fit the new camera. I am very keen to hear what you think - about the turtorial, if anything doesn't make sense or even if the photos themselves are getting better! 1. Print out Pattern and cut out. 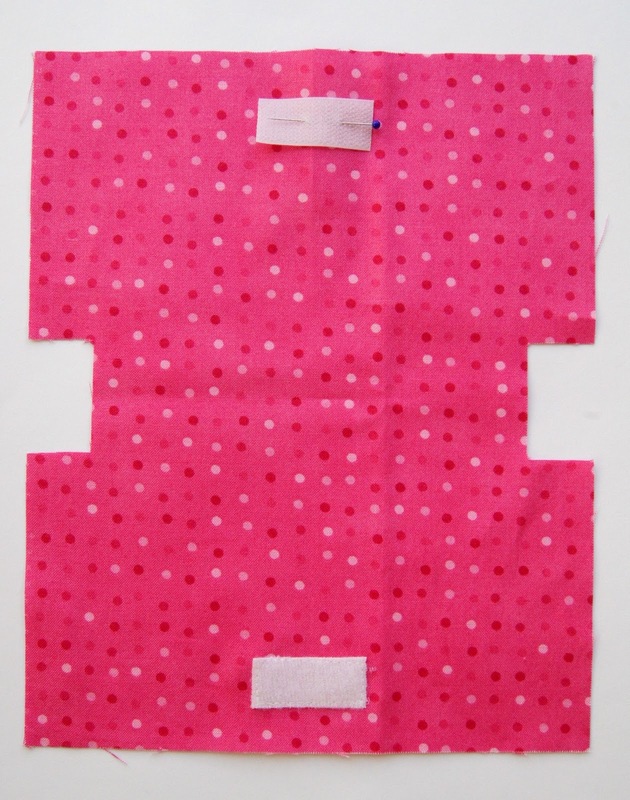 Using pattern cut out the outside fabric, lining fabric, pellon. 2. 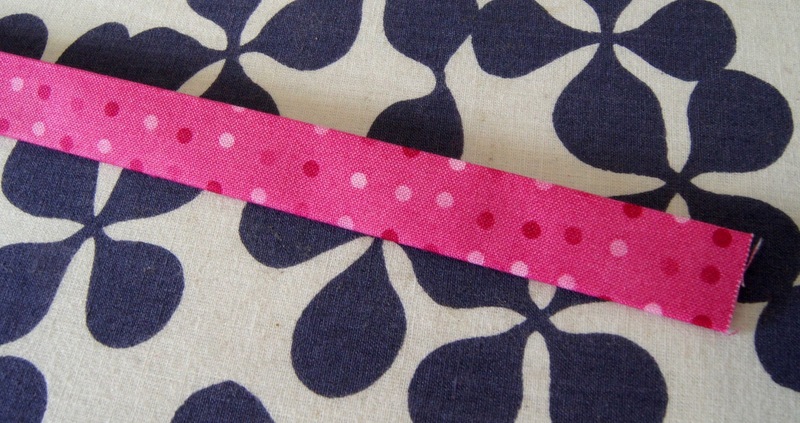 Cut out Handle strip to required size and iron in half with the long raw edges matching. 3. 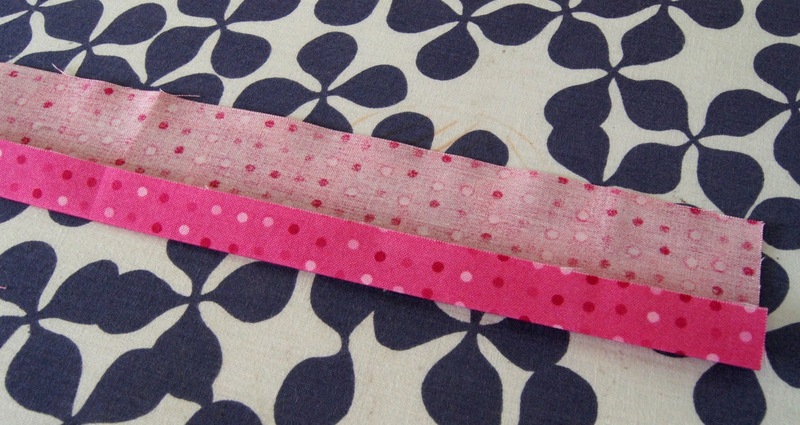 Unfold the handle strip and then fold one long raw edge into the centre and press. 4. Fold the other long edge into the centre and also press. 5. 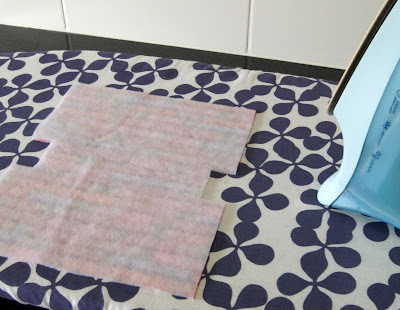 Fold the strip in half and press together. 6. 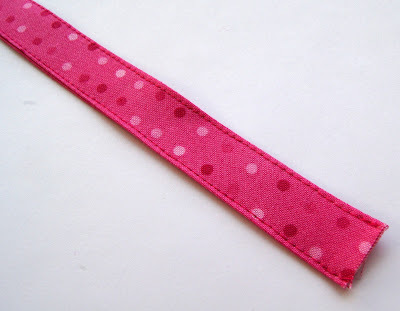 Stitch along the open long edge of the handle and down the other side for a neat looking finish. Set aside for later. 8. Take your outside fabric and fold in half, pin the side seams. 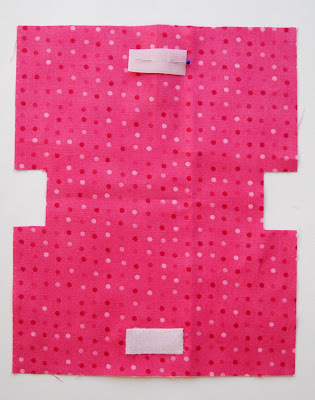 With right sides together sew down both the side seams with a 0.5cm seam allowance. 9. To make the corners, pull out the corners to have the side seam facing flat (the right sides of the fabric will be facing) in a horizontal direction. 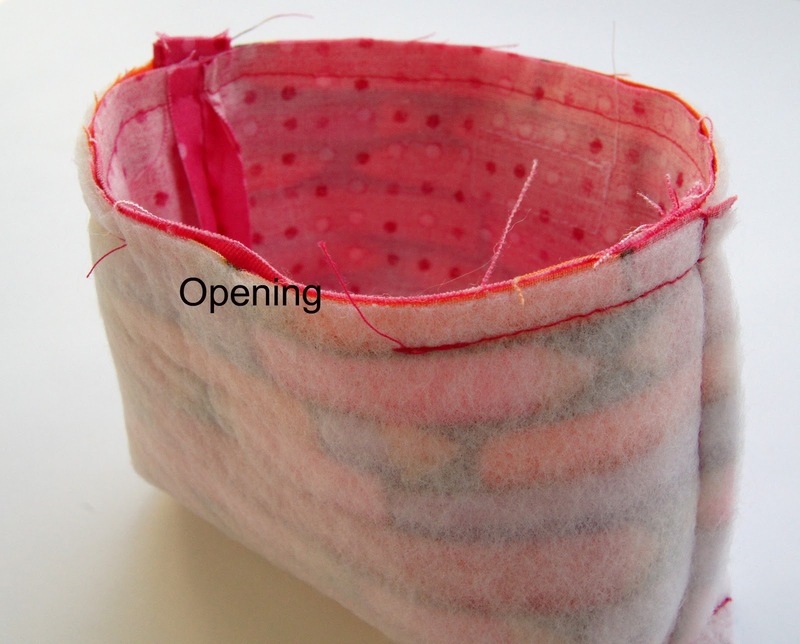 Place a pin across the seam and stitch the corner closed in the opposite direction to the side seam. 10. 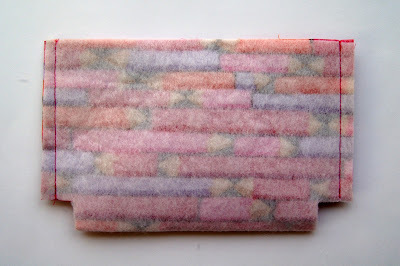 Take your lining and fold the top of the Camera pouch in half to mark the centre. Place one of the sides of Velcro 1.5cm down from the top and in the centre. Pin and then sew around the outside to secure. 11. 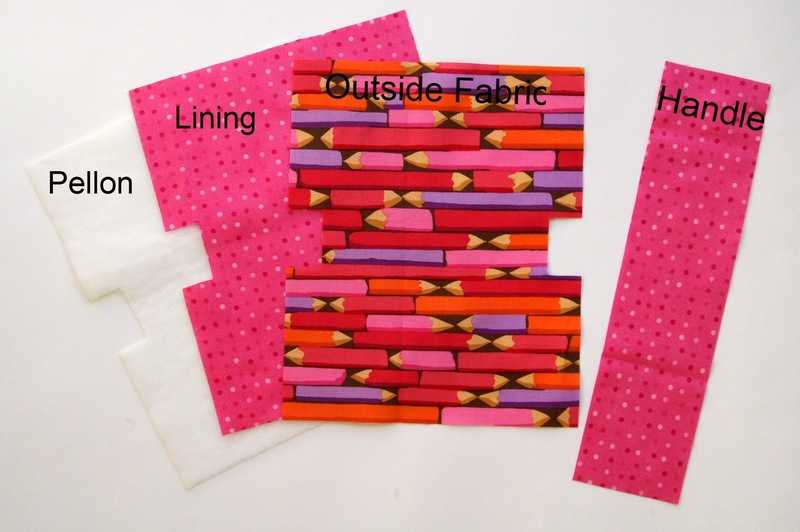 To make the lining repeat steps 8 and 9 as you did with your outside fabric. 12. 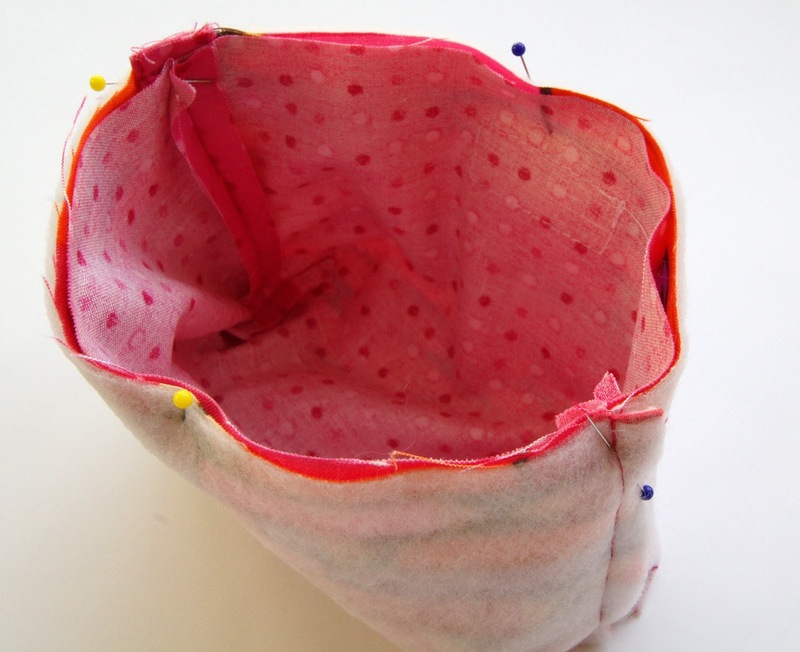 Take your sewn outside fabric pouch and turn right way out. Take the handle and fold in half. 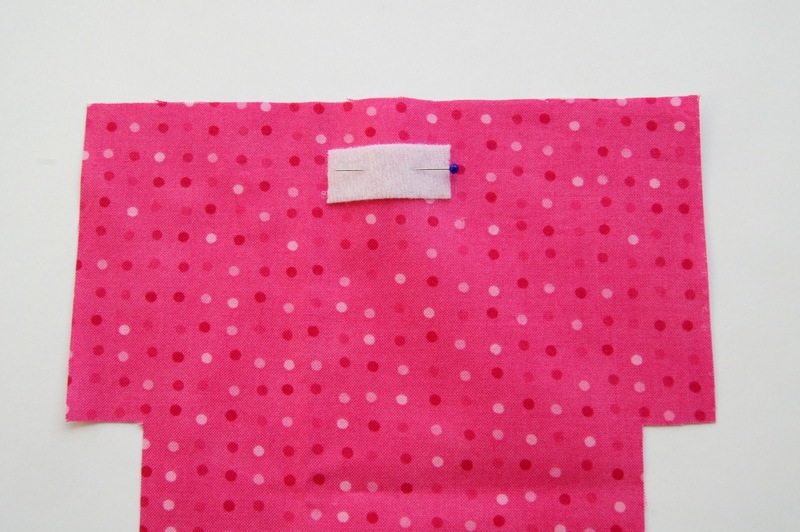 Pin the handle in place at the right side seam with the loop falling down. 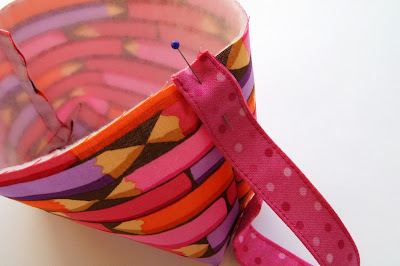 Sew across the top to secure in place. 13. 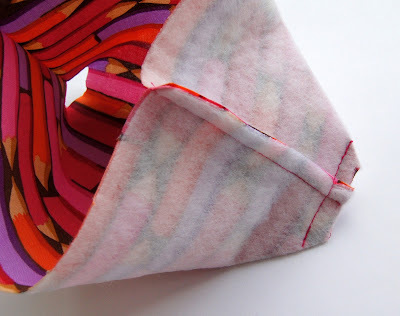 Take your lining and with right sides together put your lining inside your outside fabric to have the top raw edges matching. Pin at side seams and then around the pouch. 14. 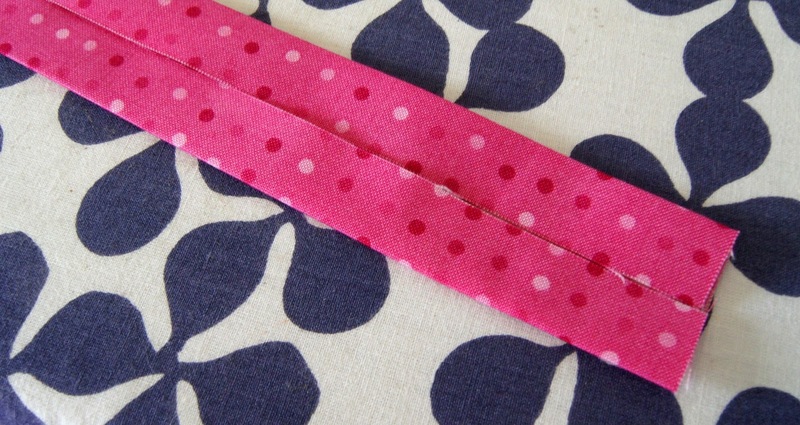 Sew around the top raw edge of your pouch 0.5cm leaving a 5cm gap so that you can turn inside out. 15. 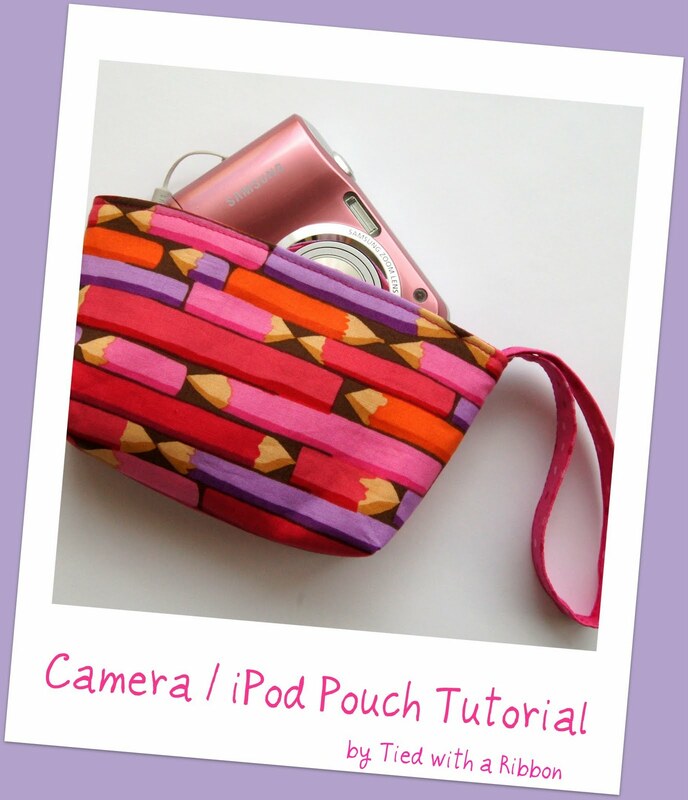 Turn you pouch out the right way and then pin and top stitch around the top of the camera pouch closing the opening. 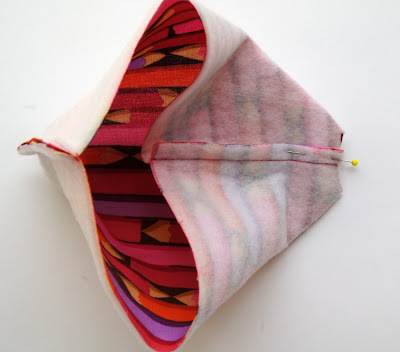 All finished – your new pouch will fit many things. 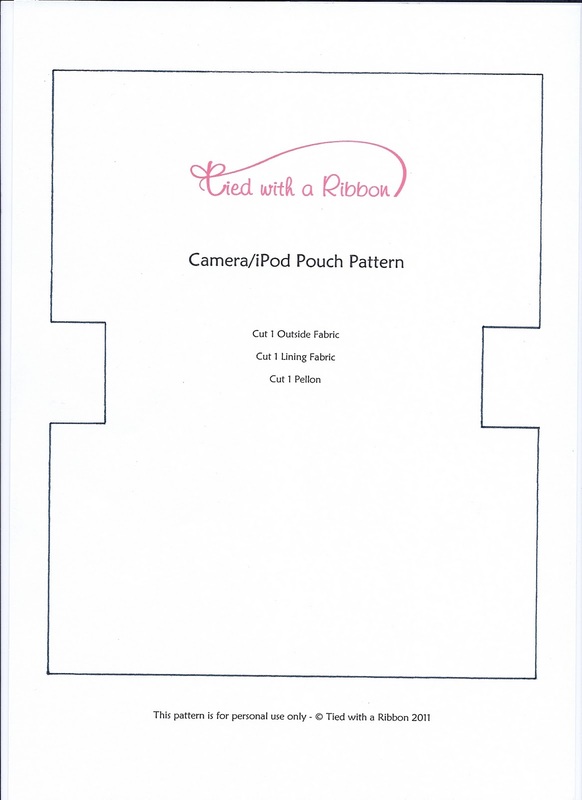 Not just for your Camera but your iPod or mobile phone will fit also. You might like it to hold you lipstick or make up – what ever you like! 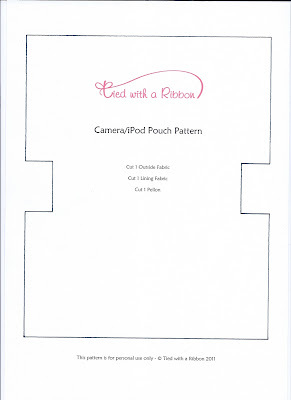 I want to make your Camera Pouch, but I can't figure out how to print out the template. Is there something I am doing wrong? I tried saving the image, but it is very small when I open the image. Because of that, I can't get dimensions correct.